Have you ever sat next to a supermodel on an airplane? Of course not, but that’s because you fly economy class while everybody knows that supermodels fly first class. Of course, there are supermodels who don’t fly first class, they are the ones who travel in private jets. The point here is that supermodels are, by nature, extremely attractive individuals. And the reason they are famous is because they are attractive. They aren’t flying first class or on private jets because they have an advanced degree that landed them a supermodel gig. They aren’t supermodels because they came up with a cure for cancer. And we know they didn’t become supermodels because they engaged in a respectable and productive political career. They are supermodels because of they way they look. This puts into perspective just how important looks are. They are so important that you can have a wildly successful career by just looking good. The next time you are sitting at the airport waiting for your flight, take a look around and spot the really good looking people waiting with you. Then, when it’s time to board, see how many of those really good looking people are sitting in first class. You will notice that many of those people you tagged as really good looking will be sitting in first class. Now, this is not scientific proof that good looking people have better lives, but it’s a start. The truth of the matter is that beautiful people really do live better lives. 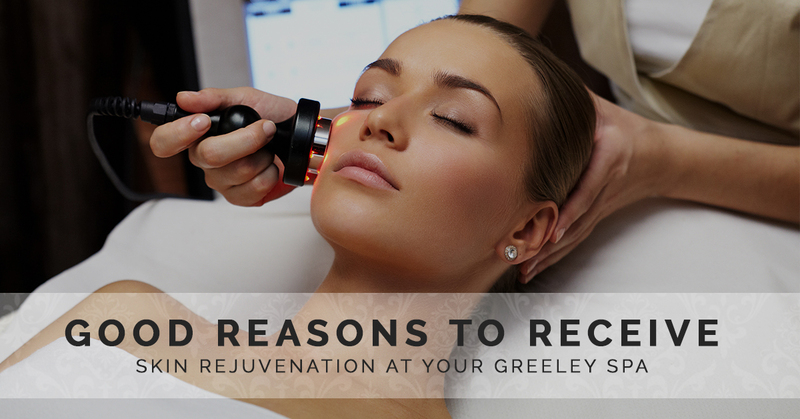 If you suffer a facial flaw or two, there are good reasons to receive skin rejuvenation at your Greeley spa. Facial symmetry is considered the beacon of beauty and it is also perceived as a sign of good health. Of course, we all know that beauty is not at all related to health, wait, maybe it is. Actually, there is evidence that suggests people who are considered less attractive are more susceptible to disease and other illnesses. On the other hand, good looks were linked to good health. So yes, maybe facial treatments will make you feel better. Research has shown a link between body symmetry and characteristics that indicate intelligence. There is a long way to go before this can be proven, but it’s still something to consider. A study in Finland found that both male and female political candidates who look better than their opponents were more successful. In fact, it is estimated that looks can increase the number of votes a candidate gets by 20 percent. Of course they are, which is why many of them choose politics. Actually, beautiful people are treated better by others because they are perceived as trustworthy folks. A study from Harvard found that women wearing makeup to enhance their beauty enjoy a boost in trustworthiness, likeability and competence.